I was recently a guest on a BBC radio programme where I had the joy of putting together my dream dinner party. I was asked to compile a list of 4 people I’d like to invite to a dinner party. This is my four. See if this is a dinner party you’d like an invite to! Emmeline Pankhurst. The Pankhurst women are well known as leaders of the Suffragette movement. Unlike the action sparked by Rosa, violent protest came to be a significant part of their striving for change (although not eagerly embraced by all the suffragettes). Emmeline had five children; her daughter Christabel worked closely with her, what a mother daughter combination. Finally, in year of her death, women got the vote on the same terms as men, but that was only in 1928! (in 1914 only women over 30 could vote) I’d like to know what she was like, where she got that fervour from. She must have been a very powerful woman; when the suffragettes were imprisoned for their acts of civil disobedience they went on hunger strike. Some were force fed (until politically that became too contentious) The story goes that a group of guards advanced on Emmeline to force feed her but she gave them such a telling off they retreated! She might be quite a scary guest but very interesting! I wonder what she would think of the position now where lots of women shy away from calling themselves feminists. 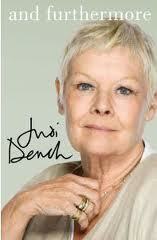 I’d also invite Judi Dench. I think she’s a wonderful actress and I’d love to meet her (and introduce her to my actor son!) I’d like to ask her about what she said once about self belief. I think she was playing Cleopatra. I never saw it but she said she just believed she was beautiful. Everyone who saw and subsequently wrote about that production said she was! That is amazing self belief! And I’m also told by people who have met her that she is a thoroughly nice woman. I’m sure she’d like to meet Rosa and Emmeline. I dithered on this last one between Beryl Cook, artist, and Mary Wesley, novelist. Both are women who came to prominence in later life, showing age really is irrelevant. 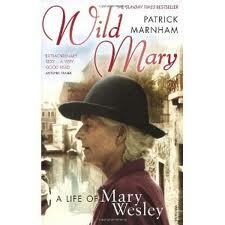 I plumped for Mary in the end as Beryl was quite reclusive and would probably hate it. She’d prefer to be sitting in a Bristol pub watching everyone. So if you were to put together your dream list of guests, who would you include and why? I think I might have to include some of the remarkable women featured in the Fabwomam section of the website, including Elizabeth who had her first novel published at 72, and Marianne, whose organics skincare business was set up after she lost her partner in her 60s. Both very positive women who live life to the full. I’d then add Joanna Lumley- who’s not afraid to speak her mind when needed, and Helen Mirren – to bring a little regality to the occasion !